There has been a spirited debate over the past few years over whether or not red light cameras save lives or are just a way for cities to make more money. While safety advocates feel that red light cameras are instrumental in saving lives, many, including law makers at both the local and state level, have taken the opinion that the cameras only purpose is to generate income for cities and, in fact, cause more crashes than they prevent. Now, a study by the Insurance Institute for Highway Safety (IIHS) shows that the cameras save lives and shutting them down will cost lives. The IIHS study is a follow-up to another study that they conducted in 2011 that showed red light cameras not only reduced red light running fatal crashes but other types of fatal crashes as well. The new study was conducted over a longer period of time and looked at a larger number of cities for comparison. For comparison purposes, the study looked at 57 cities with populations of over 200,000 that activated cameras and kept them in service between 1992 and 2014. Crash data in those cities were compared to the trends in 33 cities that never had cameras installed. The data showed that there were “21 percent fewer fatal red-light-running crashes per capita in cities with cameras than would have occurred without cameras and 14 percent fewer fatal crashes of all types at signalized intersections.” According to the IIHS, an estimated 1,296 lives were saved while the cameras were in operation. The second part of the study looked at 14 cities that shut off their cameras between 2010 and 2014. The crash data in those cities were compared to the crash rate of 29 nearby cities that have cameras installed. 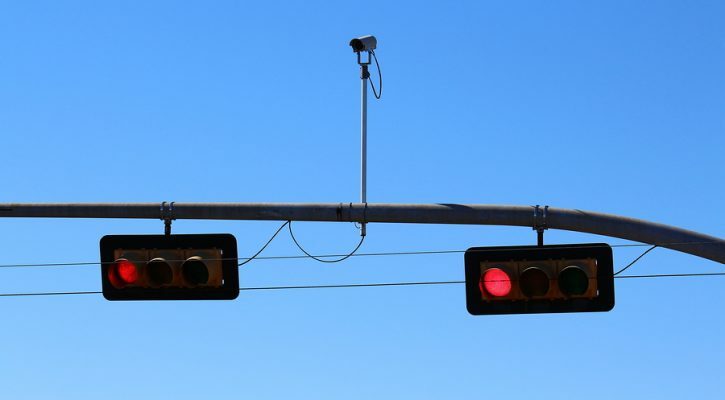 The data showed that the fatal red light running crash rate was 30 percent higher in the cities that had turned off the cameras compared to similar cities with cameras that are still in operation. Red light cameras have been controversial because they were initially sold to cities as a revenue generator. The money generated from tickets was supposed to more than pay for the camera’s operating costs. However, once drivers realized that there were cameras at certain intersections, they became more careful and stopped running red lights. As a result, ticket revenues went way down and the camera system became too expense to continue in operation. Many cities abandoned their cameras within a couple of years of activating them. Productivity is increased when the traffic flow isn’t blocked by a crash. Police, fire, and rescue are freed up for other duties and emergencies. Governments should realize that the use of red light cameras is about saving lives and not about generating income. Cities and red light camera manufacturers should work together to come up with viable business plans that rely less on ticket revenue and more on the idea that the cameras save money along with lives. 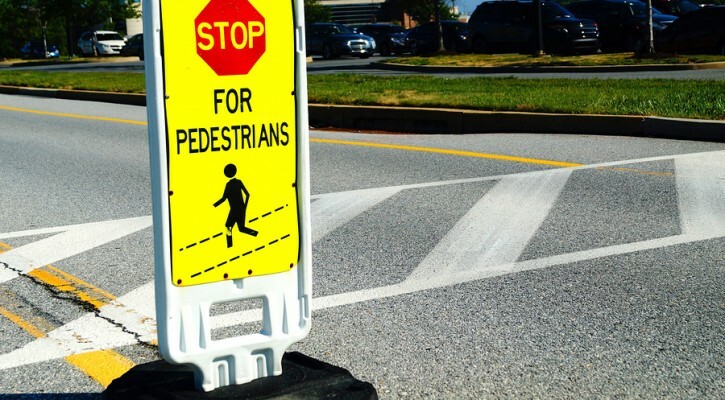 Pedestrian deaths are on the rise according to a new study conducted by the Governors Highway Safety Association (GHSA) and predicts that 2015 pedestrian deaths will increase by ten percent over the previous year. Data collection by safety organizations takes time and final fatality reports are normally 18 to 24 months behind. To conduct this study, the GHSA asked states for their preliminary data for the first six months of 2015 and compared those numbers to the first six months of 2014. According to the numbers, pedestrian deaths increased in 26 states and the District of Columbia. The rates were unchanged in three states and were down in 21 states. The data shows that four states; California, Florida, Texas and New York, account for 42 percent of pedestrian deaths even though those states only make up 33 percent of the US population. Florida had the highest rate of pedestrian deaths but surprisingly, the number of pedestrian deaths in Florida declined by four percent over the previous year. Vermont had the lowest rate with zero pedestrian deaths. While drivers necessarily deserve a lot of blame for pedestrian deaths, the pedestrians themselves must also share in the blame. Distractions for both drivers and pedestrians are on the increase with everyone feeling the need to stay connected online via texting or social media. The issue of texting while walking has become such a problem that the state of New Jersey and some US cities are considering laws to ban texting while walking. In England, a 20 foot statue spanning a walkway at the Salisbury Cathedral in Wiltshire had to be moved because pedestrians, with their eyes downcast looking at smartphones, kept bumping into it even though there was plenty of clearance to pass underneath. A major problem for both drivers and pedestrians continues to be alcohol which was involved in approximately half of the pedestrian deaths. About 34 percent of pedestrians killed in crashes had a BAC of .08 or higher. Fifteen percent of drivers had a BAC of .08 or higher. The time of day and place also played a part with 72 percent of pedestrian deaths happening during the hours of darkness. Most pedestrian deaths (74%) occur away from intersections. An organization called Advocates for Highway Safety (Advocates) says that many state governors and legislatures are failing to do their duty and people are dying needlessly as a result. In a report called the 2016 Roadmap of State Highway Safety Laws, the Advocates call out those states that have failed to pass needed highway safety laws and assigned a grade to each state based on the safety laws passed to date. 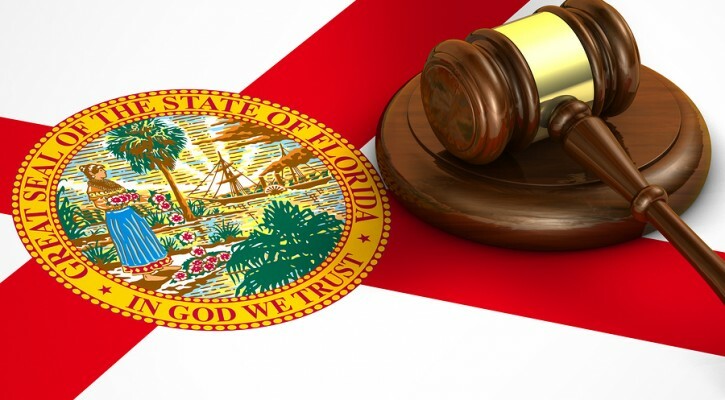 Florida is one of nine states that received a failing grade on this report. The report states that, nationwide, there are more than 300 optimal laws which, if enacted, could make highways safer and save lives. According to the Advocates, in 2015, only six states managed to pass a total of eight of those optimal traffic safety laws. Those states were; Kentucky, Mississippi, Oklahoma, Texas, Utah and West Virginia. The Advocates are calling on the rest of the states to make 2016 the year that those necessary traffic laws will be passed into law. Primary Enforcement Front Seat Belt Law -Allows law enforcement officers to stop and ticket the driver for a violation of the seat belt law for front seat occupants without having to first witness another “primary” violation. All-Rider Motorcycle Helmet Law – Requires all motorcycle riders, regardless of age, to use a helmet that meets U.S. DOT standards or face a fine. Booster Seat Law – Requires, at a minimum, that children aged four through seven be placed in a child restraint system (booster seat). Graduated Driver License (GDL) laws are designed to allow teens more time to learn driving skills without distractions. Learner’s Stage: Six-Month Holding Period Provision – A beginning teen driver must be supervised by an adult licensed driver at all times during the learner’s stage. If the learner remains citation-free for six months, he or she may progress to the intermediate stage. Learner’s Stage: 30 50 Hours of Supervised Driving Provision with an adult licensed driver during the learner’s stage. Intermediate Stage: Nighttime Driving Restriction Provision – Unsupervised driving should be prohibited from at least 10 p.m. to 5 a.m.
Intermediate Stage: Passenger Restriction Provision – This provision limits the number of teenage passengers who may legally ride with a teen driver without adult supervision. The optimal limit is no more than one non-family teenage passenger. Cell Phone Restriction – This restriction prohibits all use of cellular devices (hand-held, hands-free and text messaging) by beginning teen drivers, except in the case of an emergency. Age 18 for Unrestricted License – A teen driver is prohibited from obtaining an unrestricted license until the age of 18, and one or both of the nighttime and passenger restrictions must last until age 18. 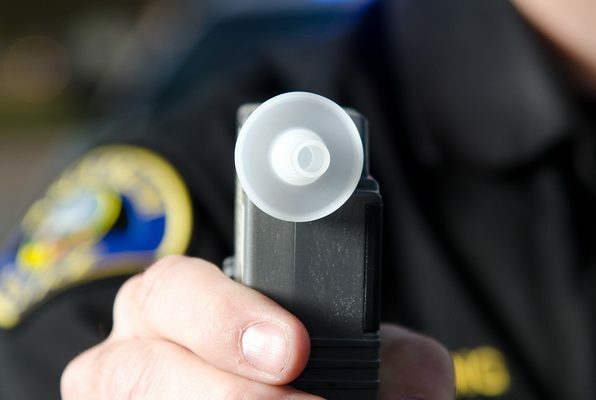 Ignition Interlock Devices (IIDs) – This law mandates the installation of IIDs on the vehicles of all convicted drunk driving offenders, including first time offenders. Child Endangerment – This law either creates a separate offense or enhances an existing penalty for an impaired driving offender who endangers a minor. Open Container – This law prohibits open containers of alcohol in the passenger area of a motor vehicle. All-Driver Text Messaging Restriction – This law prohibits all drivers from sending, receiving, or reading a text message from any handheld or electronic data communication device, except in the case of an emergency. Individuals over the age of 18 are not required to wear a seat belt in the rear seat. Over age 21 with a minimum $10,000 medical insurance policy not required to wear a helmet. Booster seats are only required through age 5. No height requirement listed. GDL programs consist of a learner’s stage, then an intermediate stage, before being granted an unrestricted license. Florida does not have an Intermediate Stage license. Minimum age in Florida is 15. Nighttime Driving Restriction Provision – Unsupervised driving should be prohibited from at least 10 p.m. to 5 a.m. until age 18. There are no limits on the number of teen passengers a teen driver may carry. There are no cell phone restrictions for teen drivers. Ignition Interlock Devices (IIDs) – Mandates the installation of IIDs on the vehicles of all convicted drunk driving offenders. Ignition Interlock Devices (IIDs) may be court ordered for a first offense but they are not mandatory. Florida’s texting law is a secondary offense and is basically unenforceable. This week the National Transportation Safety Board (NTSB) presented its 2016 Most Wanted List on transportation safety issues. While the most wanted list involves all forms of transportation including trains and planes, there were some significant items for motor vehicle transportation. Some items on the most wanted list apply not only to motor vehicles but to other forms of transportation as well. In one of those issues that cuts across all types of transportation. One study showed that 43 percent of drivers report having fallen asleep or nodded off at the wheel at least once in their lifetime. The NTSB is calling on industry to conduct more research into ways that technology can be used to track work hours and performance. It’s also calling on industry to develop fatigue management programs to prevent drivers, pilots, etc. from working while fatigued. Distractions are another issue that spans all forms of transportation. While the aviation and trucking industries have federal regulations that limit distracting devices, the states have been slow to create laws banning texting and limiting the use of cell phones by drivers. The NTSB is calling for laws that limit not just hand held but also hands free cell phones by drivers. Seat belts have been proven to save lives. Now the NTSB is calling for seat belt use in school buses, motor coaches, and other commercial vehicles. They’re also calling for strengthening of passenger compartments on buses and trains to prevent ejections in a crash. Drunk and drugged driving is still a major problem in the US and account for almost one-third of all highway traffic deaths each year. The NTSB is calling on states to lower the legal limit for alcohol from 0.8 BAC down to 0.5 BAC. Currently, the highest BAC allowed in European countries is 0.5 with some countries going as low as a 0.2 or 0.0 BAC limit. After years of steady decline, the highway death rate in Florida is now rising at a steady and dramatic rate. The figures, supplied by the Florida Department of Highway Safety and Motor Vehicles, show a disturbing trend. Florida’s highway death rate in 2015 increased by 8.3 percent compared to the number of deaths in 2014. Traffic injuries between 2014 and 2015 increased by 5.4 percent. The only figures that have gone down in Florida are the pedestrian death rates by 8.2 percent and bicycle deaths by 8.8 percent. Nationally, the highway death rate had been on a steady decline over the past ten years with really dramatic changes after the economic downturn of 2008. 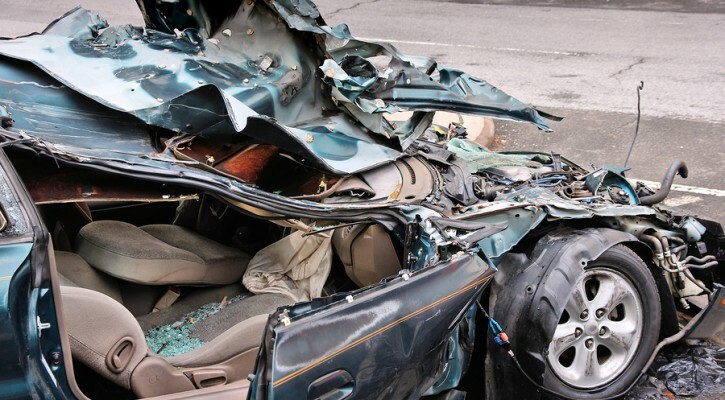 According to the National Highway Traffic Safety Administration (NHTSA), the death rate went from a high of 43,510 deaths in 2005 to a low of 32,479 deaths in 2011; a drop of almost 34 percent. However, figures now show a small but steady rise nationwide. The economic crash meant fewer people were on the road commuting to work so there were fewer chances of becoming involved in a crash. All 50 states finally passed mandatory seat belt laws which led to more people wearing seat belts and surviving crashes. In order to get the top safety rating from the Insurance Institute for Highway Safety, manufacturers are building safer cars that can better withstand a crash. The economy is improving; more people are traveling and more goods are being shipped on the roadways. Regardless of the fact that cars are being built safer, drivers seem to be more dangerous by allowing more and more things to distract them. With the economy improving, more and more people are moving to Florida. Florida replaced New York as the third largest state by population in December of 2014. Florida’s population is almost 20 million and projections show an estimated population of well over 21 million by 2020. The improving economy also means more tourists are traveling to Florida. Most cities in Florida have little in the way of mass or rapid transportation so commuters are forced to drive their own cars. There is little will in either the US Congress or the Florida Legislature to pay for new or improved highways. Florida’s anti-texting law is a secondary offense and very few tickets for texting while driving have been issued since the, basically toothless, law went into effect. The greater population of full time residents and visitors combined with the epidemic of distracted drivers on Florida’s highways means there will more chances to be involved in a crash. Florida’s drivers need to pay more attention to the road and urge their legislators to make the anti-texting law a primary offense with meaningful penalties. The move falls short of calling for federal regulations requiring the installation of seat belts and, instead, leaves it up to state or local officials to make the decision on whether seat belts should be installed in school buses. The move came as a surprise to most who are involved in student transportation because NHTSA has remained quiet on the issue for years. The NHTSA website currently addresses school bus seat belts by saying “There is no question that seat belts play an important role in keeping occupants safe in these vehicles, however school buses are different by design and use a different kind of safety restraint system that works extremely well.” Instead of pushing for school bus seat belts, NHTSA has consistently stressed the design and safety record of school buses. The fact that school buses are designed to be extremely safe and student school bus deaths are rare is an undisputed fact. However, the design safety built into school buses depends on the buses being involved in specific types of crashes; mostly frontal and rear-end crashes. Unfortunately, school buses aren’t limited to those types of crashes and a couple of crashes over the past several years have shown that bus construction isn’t enough to protect children in a crash. In Houston, TX earlier this year, a school bus was struck and driven off an overpass, sending it plunging to the street below where it overturned. Two teenage old girls were killed in the crash and a twin brother and sister were seriously injured. In March of 2012, an Indianapolis school bus driver and student were killed and ten other students were injured, two critically, when the bus driver suffered a heart attack and drove into a bridge abutment. An Indianapolis TV report contrasted that crash to a school bus crash a few weeks earlier in Chicago where a school bus veered off the road and flipped over. In the Chicago crash, no one was killed and injuries were minor. The difference for the Chicago school bus was that the State of Illinois law requires school bus seat belts and Indiana law doesn’t. Only six states, California, Florida, Louisiana, New Jersey, New York, and Texas have laws requiring school bus seat belts. 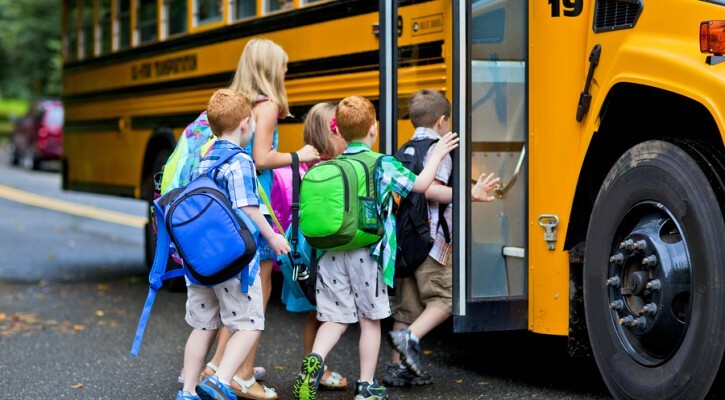 Most safety advocates feel that the lack of emphasis on school bus seat belts has more to do with economic than safety issues. Requiring school bus seat belts can add more than $5,000 to $7,000 to the cost of a new school bus. Some say that the low incidence of school bus related deaths doesn’t justify the costs of installing school bus seat belts but those people have never lost a child in a school bus crash. We have often spoken about driver behavior as the issue behind the dangerous conditions on America’s roads. While many want to blame bad roads, restrictive laws, and “other” drivers, the problems on our roads all boils down to individual driver behavior. Even the worst of roads can be driven safely if drivers adjust their behavior to adapt to road conditions and, while we can’t always do anything about the other driver’s behavior, the way we adjust our driving behavior can help protect us from those other drivers. The problem in adjusting driver behavior is that many drivers, who are in fact dangerous drivers, see their driving behavior as good and everyone else as dangerous. For example, many drivers don’t see speeding as a big problem because they feel they have complete control of their vehicle and can handle any situation. What they fail to see is that speeding reduces the time they have to react to an emergency situation and increases the crash forces. Speeding is directly responsible for approximately one-third of all the traffic fatalities in the US every year. In that kind of situation, the only thing that can change a driver’s behavior is some sort of outside influence that forces them to adjust. 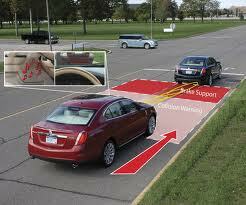 A recent study by the Insurance Institute for Highway Safety (IIHS) found one place where that has happened. In 2007, Montgomery County, MD installed speed cameras on residential roads with speed limits of 35 mph or less and in school zones. The program has grown over the years to include 56 fixed cameras, 30 portable cameras and 6 mobile speed vans. Six months into the program, the number of drivers exceeding the speed limit by more than 10 mph had fallen on roads where the cameras were located. After seven years, the study shows that the cameras have reduced the incidence of drivers traveling over the speed limit by more than 10 mph by 59 percent. When compared with similar roads in nearby Virginia counties, the researchers found a 19 percent reduction in the likelihood that a crash would involve a fatality or an incapacitating injury, as reported by a police officer on the scene. 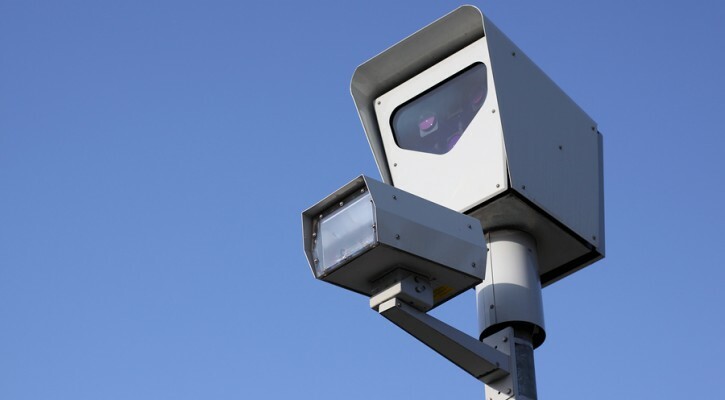 Montgomery County expanded the program to include speed camera corridors where the focus was moved from a single portion of a roadway to long corridors. The cameras are regularly moved to different locations along the corridor so that drivers don’t become familiar with their exact location. As a result, the speed camera corridors have reduced the chances of a crash involving fatal or incapacitating injury an additional 30 percent beyond the use of cameras alone. In other words, speed cameras have forced a positive change in driver behavior in Montgomery County and the roads are much safer as a result. According to the IIHS, “If all U.S. communities had speed-camera programs like the one IIHS studied in Maryland’s Montgomery County, more than 21,000 fatal or incapacitating injuries would have been prevented in 2013.